Getting a life isn't always easy. And hanging on to it is even harder.... Jodi Taylor brings all her comic writing skills to this heartwarming tale of self-discovery. Known as The Nothing Girl because of her severe stutter and chronically low self-confidence, Jenny Dove is only just prevented from ending it all by the sudden appearance of Thomas, a mystical golden horse only she can see. Under his guidance Jenny unexpectedly acquires a husband - the charming and chaotic Russell Checkland. Lovecraft’s gothic horror masterpiece. 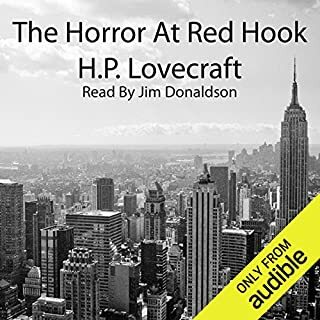 During an investigation in Red Hook, Detective Thomas F. Malone, and discovers horrors that he never imagined. A horror classic. The hugely powerful Key to Time has been split into six segments, all of which have been disguised and hidden throughout time and space. Now the even more powerful White Guardian wants the Doctor to find the pieces. With the first segment successfully retrieved, the Doctor, Romana and K9 trace the second segment of the Key to the planet Calufrax. But when they arrive at exactly the right point in space, they find themselves on exactly the wrong planet - Zanak. BY THE SKY DEMON BUY THIS BOOK! A penny-pincher carts off free soil from a graveyard in which to grow his own fruits and vegetables - but eventually the free dirt gets him in over his head. 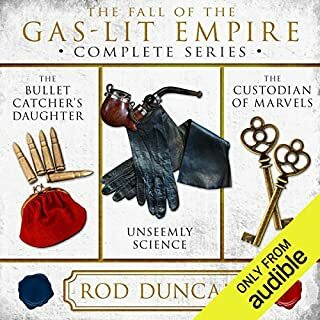 Loved this series "Back in the day..."
Starting a new job is always stressful (especially when you don't particularly want one), but when Paul Carpenter arrives at the office of J. W. Wells he has no idea what trouble lies in store. Because he is about to discover that the apparently respectable establishment now paying his salary is in fact a front for a deeply sinister organisation that has a mighty peculiar agenda. It seems that half the time his bosses are away with the fairies. But they're not, of course. They're away with the goblins. Sir Arthur Conan Doyle’s Sherlock Holmes tales are rightly ranked among the seminal works of mystery and detective fiction. 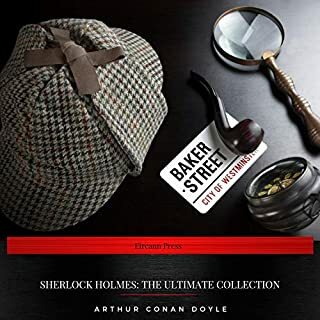 Included in this collection are all four full-length Holmes novels and more than forty short masterpieces - from the inaugural adventure A Study in Scarlet to timeless favorites like “The Speckled Band” and more. 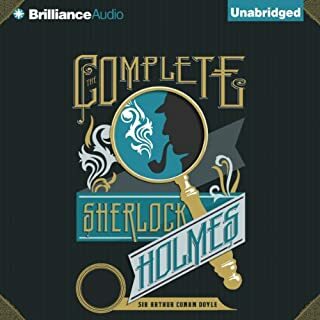 At the center of each stands the iconic figure of Holmes - brilliant, eccentric, and capable of amazing feats of deductive reasoning. 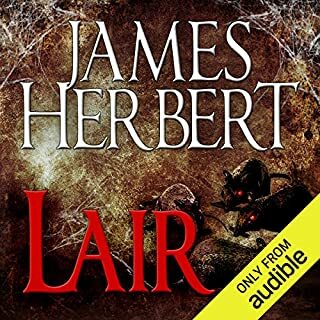 Book Two in Herbert’s classic ‘rats’ series.They've waited long enough.The mutant white rats had grown and mated, creating offspring in its own image. They dominated the others, the dark-furred ones, who foraged for food and brought it back to the lair. Now the dark rats were restless, tormented by a craving they could not satisfy. But the white sluglike thing that ruled them knew. Its two heads weaved to and fro and a stickiness drooled from its mouth as it remembered the taste of human flesh. Arthur Conan Doyle's master criminologist Sherlock Holmes continues to delight readers around the world more than a century after he first appeared in print (in 1887's "A Study in Scarlet"). The digital age has only increased his popularity: amid the onslaught of contemporary crime fiction there is something reassuring about the classic one volume set of the complete Sherlock Holmes. In Sherlock Holmes: The Ultimate Collection you will find all four Sherlock Holmes novels as well as the short story collections. High adventure and dark mystery combine in a sparkling historical romance, by Jodi Taylor writing as Isabella Barclay from The Chronicles of St. Mary's. Bascombe, widowed and tied to an impoverished estate, has learned to ask little of life. With no hope of leaving, the years have passed her by. Lord Ryde, exiled abroad after a scandal, has returned to strip his estate and make a new start in America. Another rollicking short story from the Chronicles of St Mary’s author Jodi Taylor. Question: What sort of idiot installs his mistress in his wife’s house? Especially when that mistress is Cleopatra VII Thea Philopator, queen of Egypt and the most notorious woman of her time? Answer: Julius Caesar - poised to become king of Rome. Or as good as. Question: At this potentially sensitive point in your political manoeuvrings, who are the last people you’d want crashing through the door, observing, recording, documenting...? I think we all know the answer to that one. Roman Holiday - an epic, standalone tale set in Ancient Rome, 44 BC, featuring, in no particular order: an attempted murder; stampeding bullocks; Cleopatra, queen of the Nile; a bowl of poisonous snakes; a smallish riot; Julius Caesar; and Mr Markham’s wayward bosoms. Jodi Taylor is and always has been a history nut. Her disinclination to get out of bed for anything after 1485 can only be overcome by massive amounts of chocolate and sometimes, if it's raining, not even then. She wanted to write a book about time travel that was a little different and, not having a clue how difficult this would make her book to classify, went ahead and slung in elements of history, adventure, comedy, romance, tragedy, and anything else she could think of. Her advice to booksellers is to buy huge numbers of her books and just put one on every shelf. Another great short tale with our favorites from St Marys. These short stoties are always worth a listen and fit well into the main series. I really enjoy the Chronicles of St Mary's and this short story was a delightful bonus. Zara Ramm is the perfect reader too. I love how there's sneaky references to other texts. What made the experience of listening to Roman Holiday the most enjoyable? I really enjoyed reading this and all the other shorts available which add even more depth to the St Mary's series. Max is always my favourite for her witty remarks and funny one-liners. As usual a historic trip into the past does not go as planned. 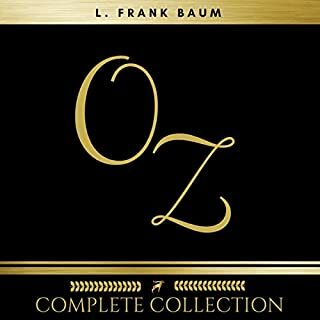 Funny and wonderfully narrated. Definitely worth a listen. 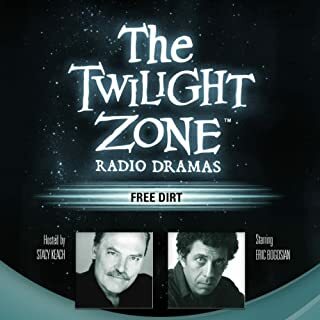 As always, the narration is excellent. When I read the novels I hear them in this exact voice in the back of my mind, too. Great little short story from this series. Very funny and well read. Brilliantly funny and a great way at looking at history. Wouldn't it be great if you could go back in time for a holiday? 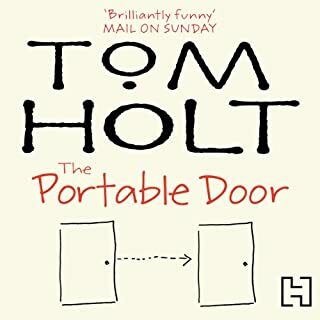 Enjoyed this short story, a funny farcical tale beautifully read. A good use of an hours commute. Maybe just my taste but I didn't get very far into it before I stopped listening. 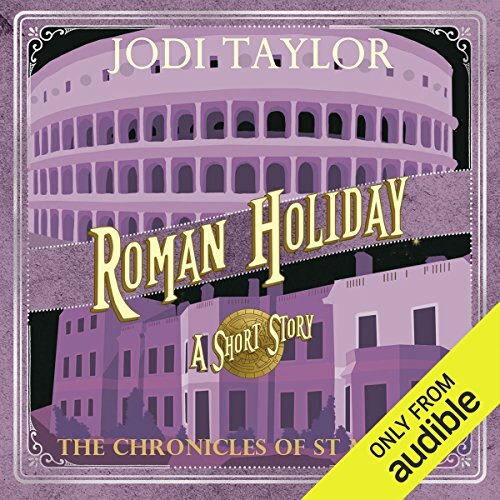 Where does Roman Holiday rank among all the audiobooks you’ve listened to so far? It's a short, so it is pretty good for a short. How the story brings history to life. When the characters describe what the leaders look like and how they saved Cleopatra. It is fun all the way through there are many moments. The time traveling scholars of St Mary's are sent to room at that moment when Caesar has installed Cleopatra in his wife's home. As usual things go wrong and they have to get themselves out of a very bad mess. 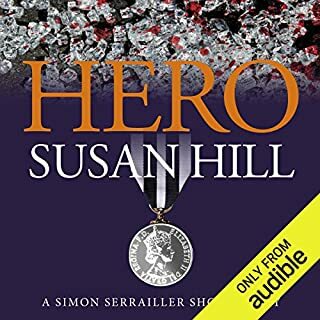 Only a novella (hour and less than a quarter long) it is well narrated by Zara Ramm who is very much the voice of this series in my view. The story was fun, light, and enchanting. As always, Zara never fails to draw you into each character. Read or listen to this one in private as you’ll be laughing out loud. 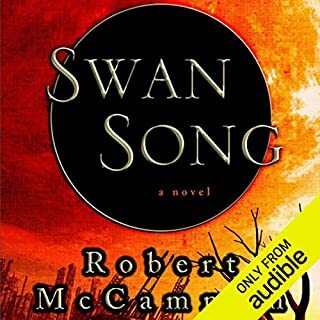 I know this short story is listed after A Second Chance in the series, but I think it should be read before. The characters, the camaraderie, all have a level of familiarity that does not fit after. And OMG! Mr Markham’s bosoms! The stampede! The arrival back! Even if it’s out of the series timeline, I really appreciate the levity after the previous emotional wringer. I’m surprised the narrator was able to read this as dead pan as she did - I would have been laughing all the way through! A very witty story about our St. Mary's historians going back to Rome to see Cleopatra and Julius Caesar. As usual, things do not go quite as planned. 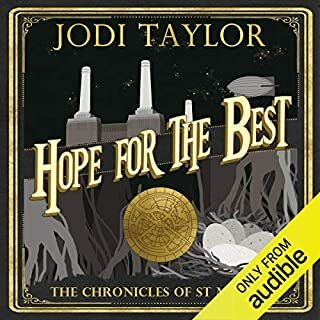 Jodi Taylor's writing is laugh out loud funny and Zara Ramm is a spot on fantastic narrator. She has perfect timing for performing the humor of the story. Taylor has an amazing imagination. This is a great short story. The mission was to mill around outside Caesar's house in Rome to listen to the thoughts and feelings of the Romans, and possibly get a quick glance at Cleopatra VII or of Caesar but not go inside the house. Of course, our heroine, Max, a tough, clumsy, and sincere female in true St. Mary's fashion does go inside and finds herself running for her life along with the other time travelers from St. Mary's. I chuckled all the way through it. Dry humor and the ability to draw pictures with words. Narration fits perfectly. I love this series to death and though I appreciate its more serious tones, the humor is always my favorite aspect of the stories. As such, this is probably my favorite St. Mary’s tale. It made me laugh about loud several times and endearingly managed to refer to “snake goo” twice. The mission was to mill around outside Caesar's house, gauge the thoughts and feelings of the Romans around, and possibly get a quick glance of Cleopatra or of Caesar himself. They never meant to go inside. But of course, in true St. Mary's fashion, they do, and find themselves running for their lives... again. Roman Holiday is a light read with few details back to the overarching story, but it is an entertaining read. 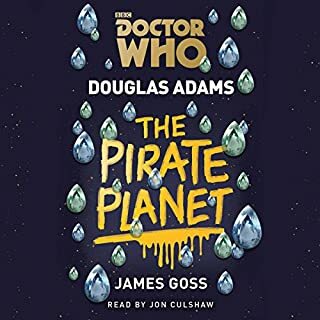 Zara Ramm is a wonderful narrator, perfect for Max, and I am glad that she is now also narrating the short stories. This fun, short book takes place during the events of book 3. It's a quick stand-alone story about Max and the gang jumping to ancient Roman. The mission was to mill around outside Caesar's house, gauge the thoughts and feelings of the Romans around, and possibly get a quick glance of Cleopatra or of Caesar himself. They never meant to go inside. But of course, in true t. Mary's fashion, they do, and find themselves running for their lives... again. Roman Holiday is a light read with few details back to the overarching story (ie. relationships), but it is an entertaining read. 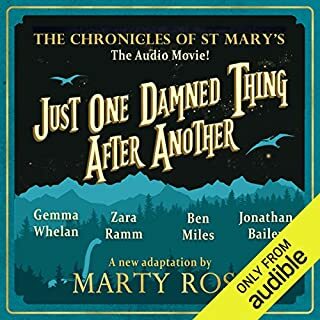 Zara Ramm is a wonderful narrator, perfect for Max, and I am glad that she is now also narrating the short stories.